I usually make my own sandwiches for work, but do occasionally have a look at the lunch trolley that comes around, often to just pick up a juice. 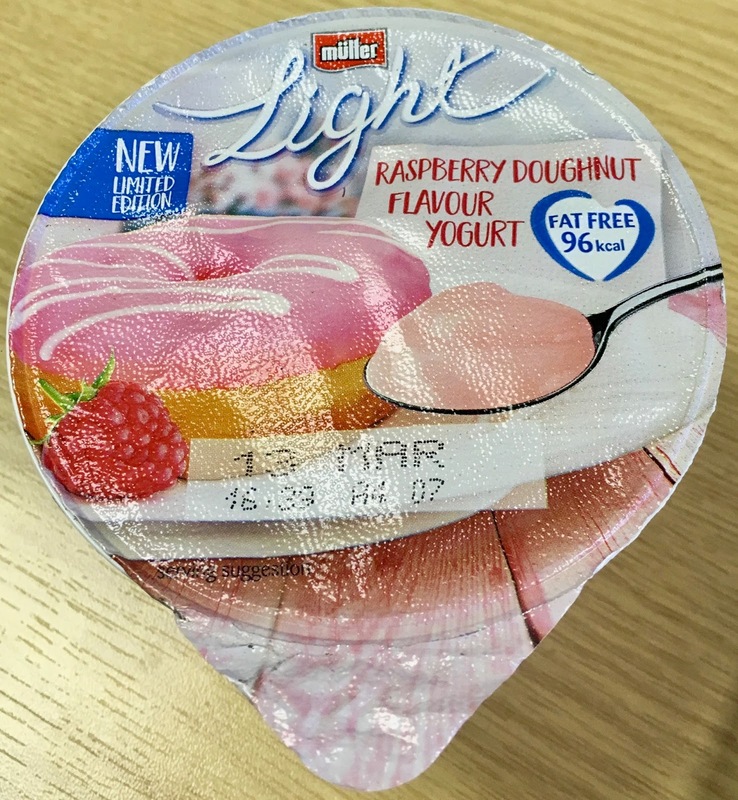 Today however I spotted a selection of Muller yoghurts, and the inevitable ‘new’ label that drew me in. The flavour of this yoghurt is Raspberry Doughnut which sounded quite fun so I decided to have a this as a sweet treat for the afternoon. I thought I was being a bit naughty choosing a flavour that sounded so sugary, but when I had a further look at the packet I realised it was actually fairly low in calories (less than 100) and was fat free. Inside the pot was a thickish yoghurt which had a pale pink colour. The flavour was quite strong, and the major element of that was the sugariness in taste. There was some pleasant acidic bite from the raspberry, but it was really quite sweet. If I was asked to describe the flavour I think I would have gone with raspberry icing, rather than doughnut, fruity but over-sweet. I couldn’t pick up on any of the doughnut part, just the tangy raspberry. I was after a sweet treat for the afternoon and this certainly delivered, so I can’t really complain, and technically all that flavour hit was still lower fat. This is perfect for when you want a sweetness hit without too much guilt or the calories.